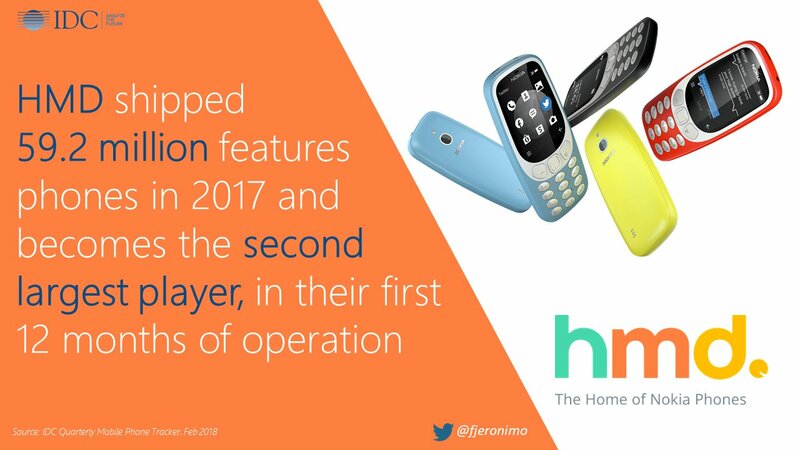 IDC’s analyst Francisco Jeronimo shared via Twitter that HMD Global shipped 59.2 million feature phones in 2017. This comes after Counterpoint Research this morning released detailed sales numbers of HMD’s Nokia devices for the fourth quarter of 2017. 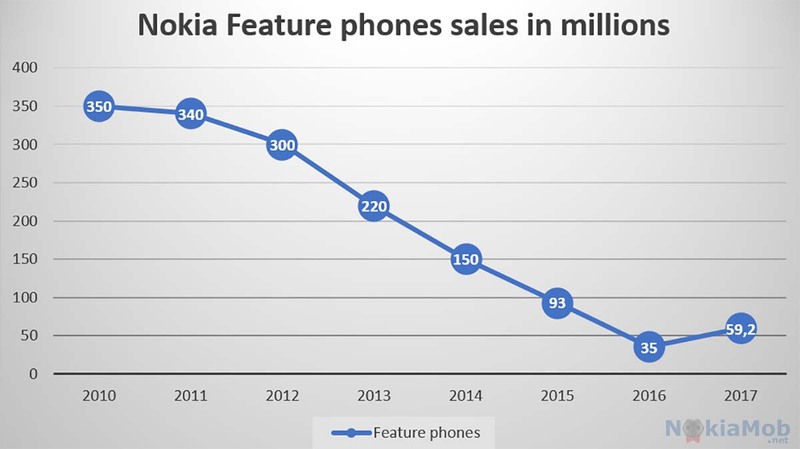 In its first full year of operation, HMD Global succeeded to turn the trend on the feature phone market around and bring the sales of Nokia-branded feature phones back to growth. HMD shipped 59.2 million feature phones in 2017, a 70% increase from 2016 when 35 million Nokia-branded feature phones were sold. In Europe, HMD Global was the biggest feature phone maker in 2017, while globally HMD was second in the feature phone market. In Q4 2017, HMD Global shipped the most feature phones globally (20.7 million), but that wasn’t enough to secure the top spot for the whole 2017. Overall, in 2017 HMD Global sold about 8.7 million Nokia-branded smartphones and nearly 60 million, or to be completely precise, 59.2 million feature phones, according to IDC. That is 67.9 million Nokia-braned phones in 2017. Solid results for the first year of operation.